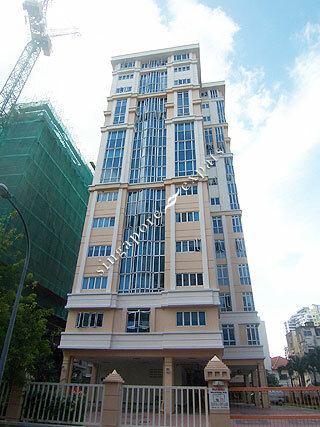 MONARCHY APARTMENTS is located at 51 MANDALAY ROAD in district 12 (Novena, Thomson, Toa Payoh) of Singapore. MONARCHY APARTMENTS is a Freehold Condo development consisting of 39 units. MONARCHY APARTMENTS is completed / TOP in 1998 (estimated), developed by QUEENS SQUARE INVESTMENT PTE LTD (LAND RESOURCES). Educational institutions like GLOBAL INDIAN INTERNATIONAL SCHOOL, SAN YU ADVENTIST SCHOOL, ST JOSEPH INSTITUTIONAL INTERNATIONAL, BALESTIER HILL PRIMARY SCHOOL, HONG WEN SCHOOL and FARRER PARK PRIMARY SCHOOL are near to MONARCHY APARTMENTS. MONARCHY APARTMENTS is accessible via nearby NOVENA, TOA PAYOH and FARRER PARK MRT Stations.